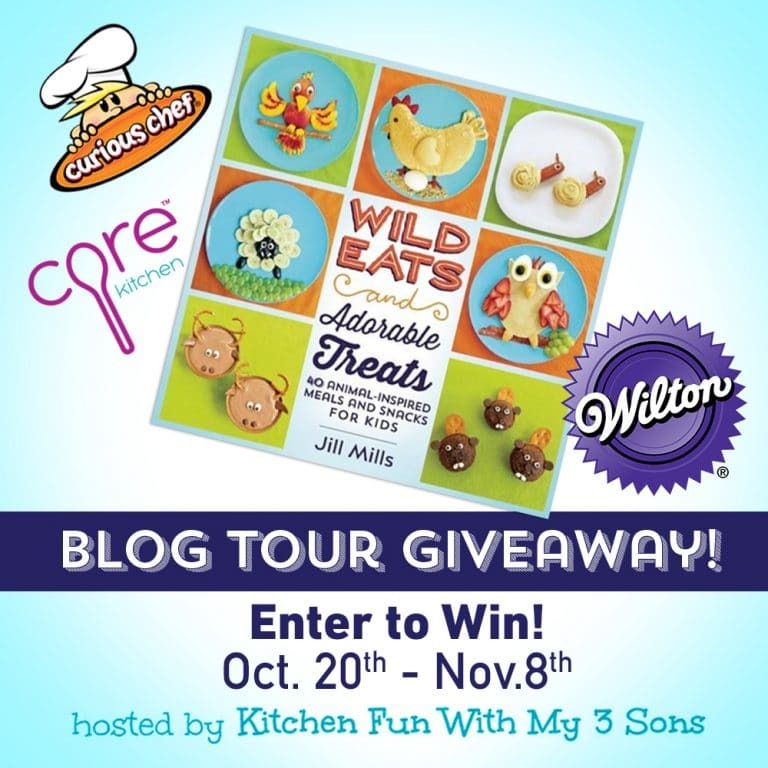 I was super excited a few weeks ago when Jill Mills reached out to me and asked me to be a part of her blog tour. 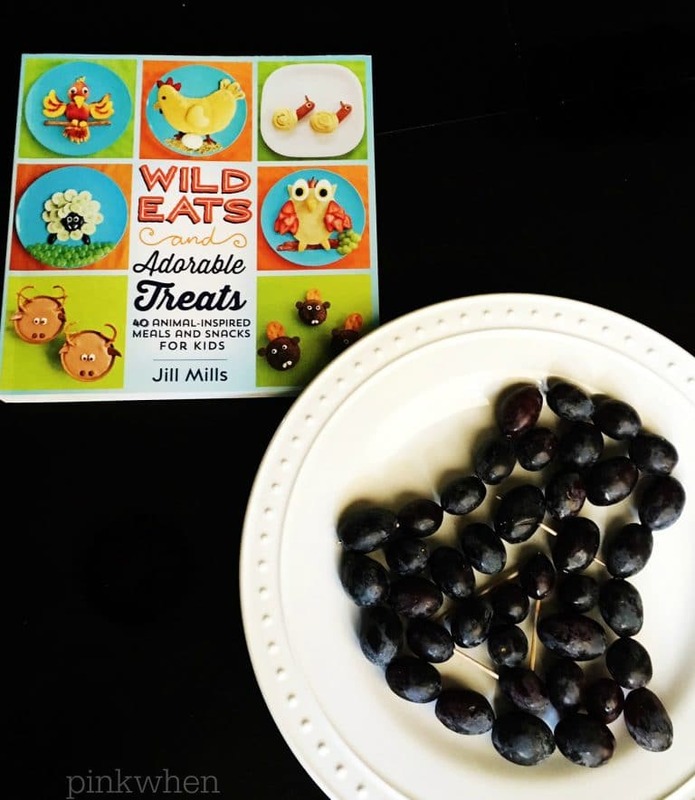 If you haven’t seen it already, she just published her super cute book, Wild Eats and Adorable Treats, and it’s chock full of 40 animal-inspired meals and snacks for kids. 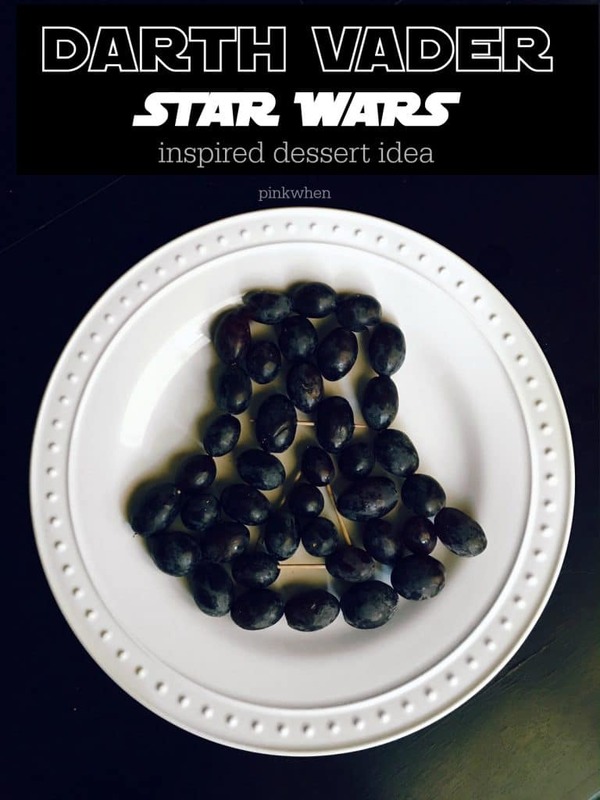 I was so excited to be a part of her book tour that I jumped in and tried my hand at creating a healthy dessert with this Darth Vader Star Wars Inspired Dessert Idea. It was so much fun to create, you have to check it out! I was so excited to be a part of this book tour that I decided to create my own fun little treat. Of course, this is arguably not animal themed, but it is a HUGE theme in out household. Even my phone makes the Darth Vader “breathing” sound when someone sends me a text. I just had to create something fun, and her book was my inspiration. We are counting down the days until the new Star Wars movie and we will probably go with a large group of people and have a get-together before or after we see the new film. 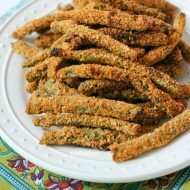 This would be a fun snack idea to have to serve, and it’s super easy to make. To create this fun little Darth Vader mask I just started by creating the eyes, and then the triangle used as his respirator. 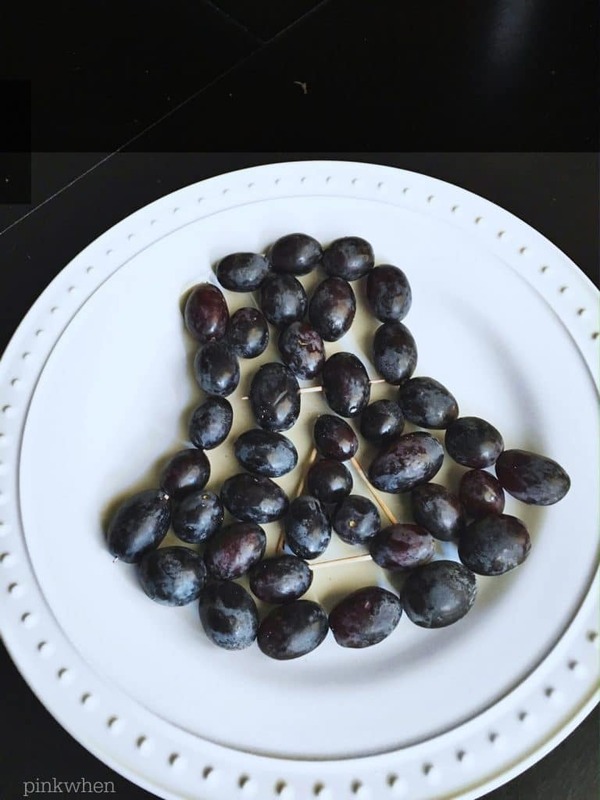 After that, it was all about making the shape of his helmet with the grapes. I think it turned out super cute! And the kids loved it. 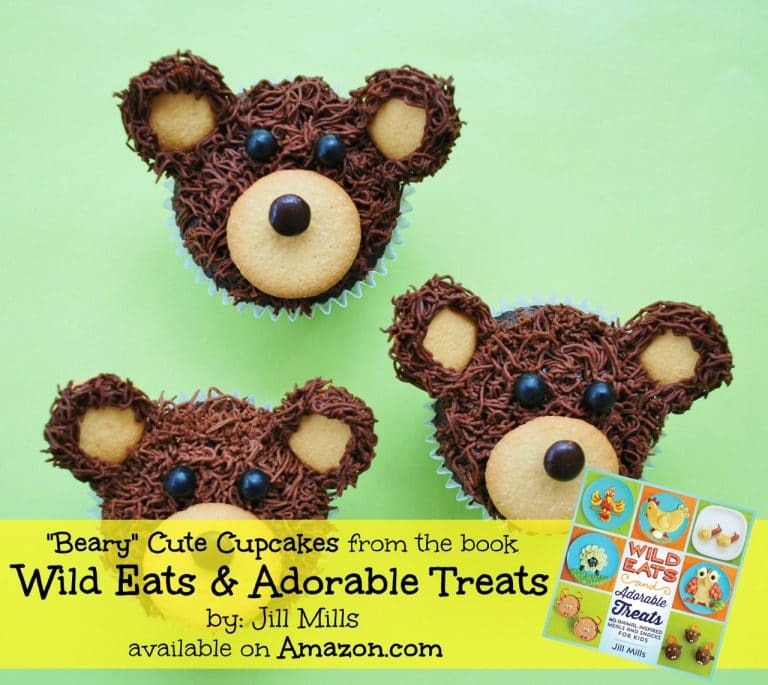 Not only is this book completely cute with all of the awesome animal-inspired snacks, but Jill is having an amazing giveaway in conjunction with her book release. Make sure you enter to win all of the fabulous prizes below. There will be 3 different winners for 3 amazing prize packages, so make sure to enter to win. Make sure you follow Jill and all of her adventures on Facebook, Twitter, Instagram, Pinterest, and her blog. Make sure you let her know Darth Vader from PinkWhen sent you! Love this!! My wild and crazy Star Wars obsessed boys will love this too. I love baking and decorating cakes with my kids. Sure we make a mess but they have so much fun!! I love how simple this is and that its all stuff we’ve already got here in our kitchen. My sister in law is a huge Star Wars fan and it has started rubbing off on my 4 year old so he’ll get a kick out of this. Thank you for giving me the opportunity to enter for a chance to win. My best kitchen memories with my little ones are baking and decorating cupcakes and cookies. This year we’re going to try decorating a gingerbread house. We have “Kitchen Wednesday” after school with my 3 & 5 yr olds. 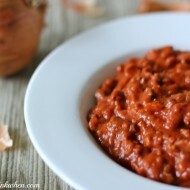 Every week we find a fun recipe to make together. We all love our special kitchen time! Thanks for the great ideas! My favorite reaction came from my daughter when I made her a turkey breakfast last Thanksgiving using pancakes, fruit, and eggs. So fun! 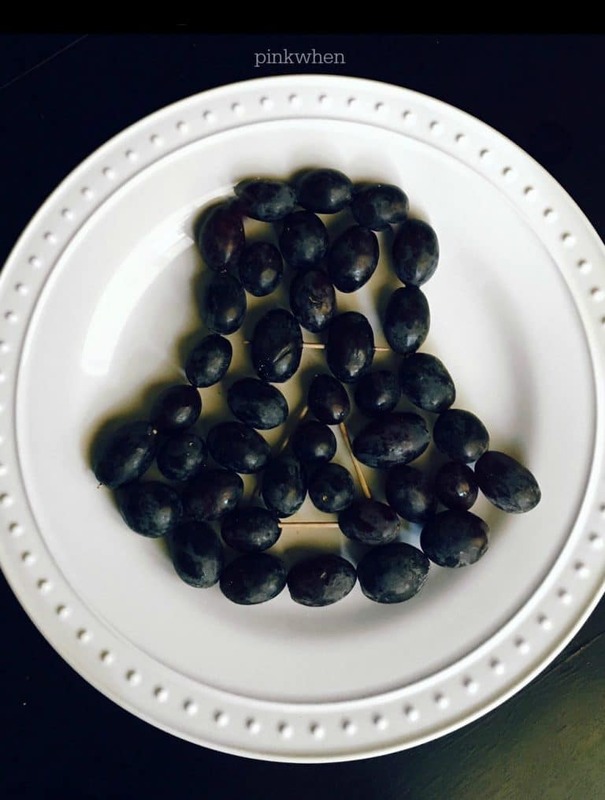 I love getting creative with food. My boys never know what to expect. I’ve done graveyard brownies and rat sweet potatoes for an October birthday. I love baking with my kids. We just made pumpkin shaped sugar cookies and the kids had so much fun!!! My kids and I love to make all different types of cookies together. My kids love to crack eggs, measure, and stir! It is so much fun! My boys will soon be the ones running the show in the kitchen while I assist them!!! My Idea of fun in the kitchen is to give my kids the pre-mix batter plus decorative edible items and let them make their own muffins, cupcakes, pancakes…. and believe me they always come out with the weirdest looking stuff but damn they taste good!!!! Love this. My son would die for it. My daughters love cooking in the kitchen with me. We’ve made tons of memories just laughing and making whatever recipe we can find. My youngest loves to go to the library and check out all the kiddie cook books and then come home and pick what she wants to try. I remember the time she picked out an Angry Birds one which had ALL egg recipes in it. We had eggs for every meal for a week straight so she could try them all. I just love baking! This even has the best ideas for those with kids or those without. I love these, gonna try some stuff with and for my hubby! we are bakers in my house, my children love helping me mix and pour and decorate. we are all the time trying new recipes and ideas. my kitchen could use an update on tools… this would be super cool to win! thank you! Won’t let me post” dearth cadet from pink when sent me”???? Love to do so many things in kitchen fis r my gran! Sandwich shapes love me her favorites, such as butterflies and flowers! Shelled Apple cups filled with Carmel coated Apple sticks, veggie people is a hit also???? English Muffin Pizzas was a favorite when my girls were little – I sliced open the muffins had pizza sauce, cooked crumbled hamburger, sausage and pepperoni as well as some chopped peppers, onions or any other topping they wanted everything in separate bowls. The kids decorated their own pizzas and there was always lots of laughs and some times competition of who’s looked the best. We did this the most on slumber party nights for a late snack. Love the Darth Vadar snack you could add black licorice to help define the outline. Pancakes are another fun cooking activity to do with children, you can use a multitude of items to make different shapes and designs I use plastic bottles with a thin squirt top so I can use different flavors to help create different designs. Darth Vader from Pinkwhen sent me…. I am a mother of five…my husband and I love to be in the kitchen with the family…it’s Family time!!! I love to look through your pictures with our Autistic son whom we home school to look for his next project. To see his excitement picking out, through completion of the project is just amazing! Thank you for helping us with creative ideas!!!!! I want to try to do more fun thanksgiving and Christmas edible crafts this year. My 10 year old grandson lives with me and we cook together all the time! He is a wonderful boy who loves to learn new things! Thank you for the great ideas…everyone in our family loves to cook. I can’t wait to try some of you receipes. I love the inspiration and making food fun to eat and pleasant to look at puts a smile on my face! Yes ,it is nice to make it with the bots..I have 2 grown sons now & the can out cook a lot of ladies !! Keep it up ..love this page. now I have 5 grand daughters & hope they learnfrom this !! THESE ARE CUTE IDEAS. SOME WOULD EVEN TEMPT KIDS WHO DON’T LIKE CERTAIN FOODS TO EAT THEM WITHOUT THINKING ABOUT WHAT IT ACTUALLY IS! So cool! Thanks for the opportunity to win! I love these ideas to use when I’m around the grands! My children loved helping with cookies and baking when ever they got the chance to! 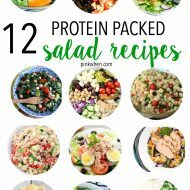 Loved spending time with my kids in the kitchen, I’m looking forward to spending time with the grandkids (when they get here) and making some of these fun ideas! Thanks for the inspiration.